Home UK & Europe High street and shopping centre investment: What are the prospects for 2019? 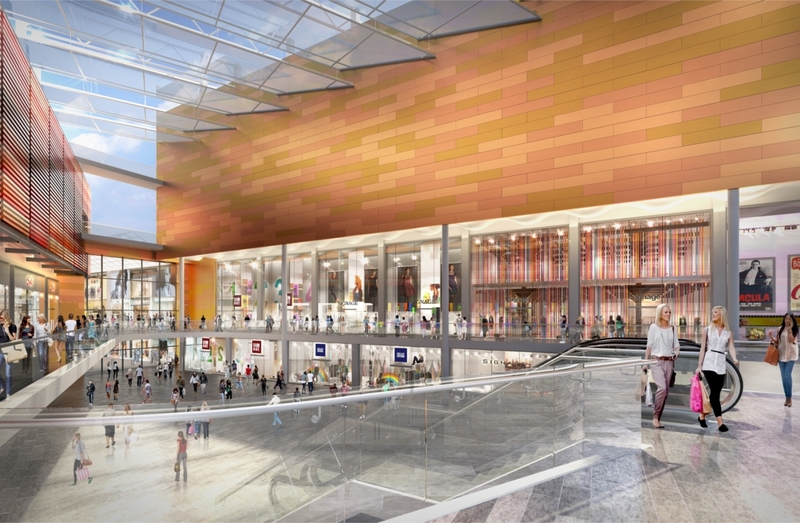 High street and shopping centre investment: What are the prospects for 2019? Q4 2018 saw seven shopping centres traded, for a combined sum of £405 million. While this was a significant increase on the volume traded in the third quarter, it was not enough to stop 2018 being the worst year for shopping centre investment volumes since 1997. The total turnover for the year of £1.38 billion in 34 deals was 18% down year-on-year, and more than 60% down on the long-term average. The story was not quite so dramatic for the investment turnover in the high street shop market outside London, with the total volume of shops traded reaching £1.6 billion last year, the worst year since 2008. The reasons for investor’s wariness about retail property are well-rehearsed, but the final quarter of 2018 did see some good news in the form of Norinchukin’s acquisition of a 50% stake in Highcross, Leicester. Not only was this the second largest transaction of 2018, but it was also the only scheme with Debenhams as a tenant to trade in the whole of last year. With further store closures and relatively uninspiring Christmas trading confirmed by many retailers in January 2019, investors will be continuing quite rightly to ask searching questions about retailer’s covenants and the level of rent they can (or are willing) to pay. The question around retail property values is a thorny one. While much of the recent newsflow has focused on “sudden” repricing of the sector, this has more to do with valuation lag than a sudden collapse in values. We have been softening retail yields since July 2016, and over that period estimate that the prime UK shopping centre yield has risen from 4.5% to 5.25%. As the table above shows, the yield movement has been more significant away from the prime end of the spectrum. The problem of ‘valuation lag’ is not a new one for the UK property market, and this means that 2019 is likely to see a continuation of the disconnect between vendor and purchaser expectations on price. We do expect prime yields to start to stabilise towards the end of 2019, both as a recognition that ‘right-pricing’ has been reached, and because the weight of money targeted at the sector has re-dressed the imbalance between buyer and seller expectations on price. The banks will also play an increasingly significant role in the shopping centre investment market in 2019. Not only will there be an unwillingness to refinance debt, but there will be some centres where the capital value falls push the loan towards a LTV breach. Whether or not these situations actually result in the bank taking control of the asset, they will result in more stock coming to the market this year. There comes a point in most cyclical downturns when the market decides that the best quality assets have re-priced too far, and begins to see an opportunistic buy. The big questions for retail property in 2019 are when we will reach that point, and what actually defines the ‘best quality’ assets. At it simplest level the definition of prime retail is probably a shop, centre or location where the offer fits the catchment i.e. gives the potential shopper what they want. A certain degree of insulation against the steady but slowing rise of internet shopping is also important – whether this be in the form of the type of goods that are on offer, or the availability of parking and storage for click-and-collect and returns. Over-sized units are less attractive than smaller units, unless they are easily sub-divisible (or indeed capable of alternative use). However, we believe that the key metric for potential investors in UK retail to consider this year when they are trying to decide whether the asset is ‘prime’ or not, is the rent. A safe approach to the question of over-renting is to assume that the majority of UK retail is over-rented, and then look for the assets that are not (or to buy the asset sufficiently cheaply to allow re-basing of the rents). Whatever the out-turn of Brexit and the rate of cannibalisation of shop sales by the internet, retailer’s margin will remain under pressure from more places than just rent. However, rent will remain one of the few areas where they can negotiate and as such we expect both new lease and rent review negotiations to remain tenant-led for the foreseeable future. This will keep downward pressure on overall retail rental growth for the foreseeable future, but also mean that being realistic on the level of over-renting that is present in an asset will be key to evaluating whether the pricing is realistic or optimistic. We do expect that investors will be viewing the prospects for retail property more rationally by the second half of 2019, and this combined with a degree of opportunism will mean that along with councils and the established buyers, assets small and large are likely to be snapped up by the new money that continues to be raised for deployment in a sector that will become increasingly appealing to investors drawn by the significant discounts to long-term pricing in both absolute and relative terms that are starting to emerge. Those assets with re-purposing potential will also continue to attract interest during 2019, which will also see the buyer pool diversify. Valuations, even for some of the most challenged assets, remained stubbornly high during 2018 but started to synchronise towards the back end of the year as evidence began to trickle through. This will be crucial for those assets ripe for re-purposing where in many cases the residual value, even in higher value locations, is struggling to surpass the historic investment value of these assets. Overall, we expect that 2019 will see investment turnover start to recover from its nadir in 2018. Yields, even on prime assets, are likely to remain under upward pressure. However, the timing of the next inflexion point will be clouded by the usual lag between market and valuation pricing. Our view on 2019 remains that prime retail is already starting to look cheap, but finding assets that fit the new definition of prime will be a challenge.